Mount Desert Island and Acadia National Park have been described as the climax of the coast of Maine. Millions are drawn every year to the stunning beauty of this rocky landscape of spruce-fir forest and granite islands. Some, like nature writer Christopher Camuto, never stop coming back. 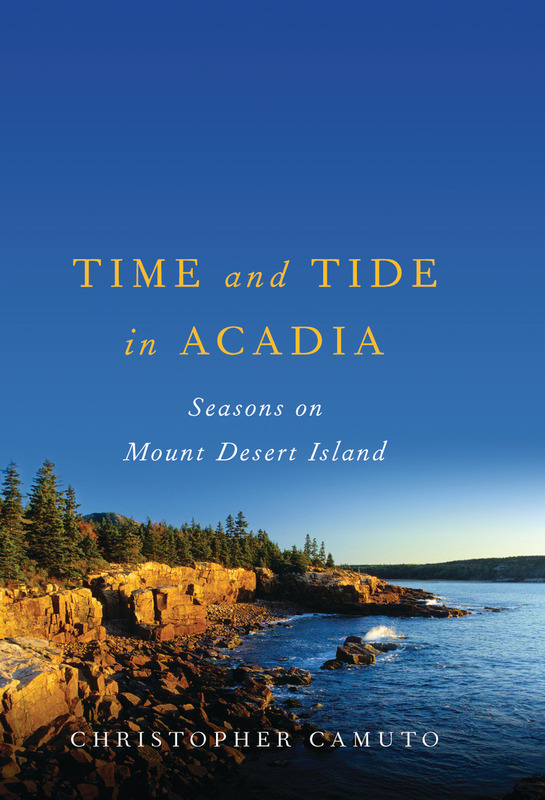 In Time and Tide in Acadia the author draws on years of walking Mount Desert’s summits and shorelines, canoeing its marshes, kayaking its tidal waters, and visiting its outer islands. To this task Camuto brings an appetite for observing wildlife and landscape with considerable originality, a regard for history and indigenous perceptions of nature, a keen interest in exploring the psychological and philosophical appeal of nature, and a writer’s love of language. As in his previous, highly praised books, Camuto fulfills his promise to give the reader innumerable vantages on the nature of a remarkable place that it takes time to get to know. Christopher Camuto is the author of A Fly Fisherman’s Blue Ridge, Another Country: Journeying Toward the Cherokee Mountains, Hunting from Home and Time and Tide in Acadia. He teaches creative writing at Bucknell University and lives in Lewisburg, Pennsylvania.